Synopsis from Goodreads: Agoraphobia confines Norah to the house she shares with her mother. As someone who is battling mental illness and isn't afraid to discuss it, reading a book as honest and heart-wenching as this is a pure joy. 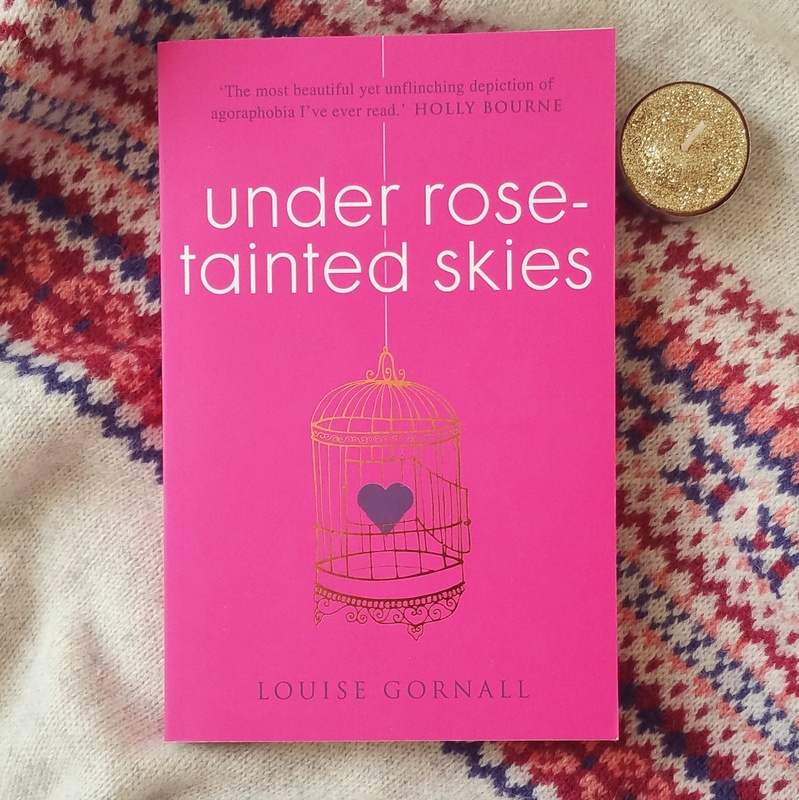 Under Rose-Tainted Skies truly manages to find the balance between a beautiful storyline and a painfully truthful depiction of life with mental illness. I went into this book with little knowledge about agoraphobia, despite being someone who strives to raise awareness about mental health issues, but the way in which Gornall describes Norah's struggles with both agoraphobia and OCD left me feeling a great deal more aware (and who doesn't love a book where they learn stuff right!?). Although I can't relate directly to the illness-specific issues which Norah faces in this book, the experiences of panic which are described are something that I can sympathise with. 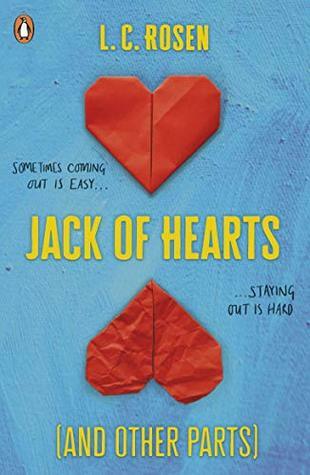 I struggle to understand how someone can manage to explain such an experience within a novel but Louise Gornall does it and she does it so well! It's a truly honest insight into what panic attacks can be like and I hope that everyone who reads this will go away with more understanding about what it is like to experience one (because they don't teach you that stuff in school and it's really important for people to understand!). The main character Norah is a teen who is dependent on the Internet as her access to the world outside of her room. She only leaves the house to visit her therapist and even this is a huge struggle for her. As we meet her she has just seen that she has a new neighbour, called Luke, she is immediately curious about him but it's incredibly difficult to meet someone when you have the problems that she does. Gradually Luke manages to work his way into Norah's life, despite the huge number of doubts which Norah experiences, and Norah is left to consider factors that she's never needed to give any thought to before now. It has been quite sometime since I have encountered a character that I love as much Norah, she is so incredibly strong and despite all of the enormous problems that she faces daily she continues to fight. Reading about her courage and bravery throughout Under Rose-Tainted Skies has truly inspired me with my own struggles. The highlight of this book for me is the fact that this isn't just a book about a girl with mental illness who meets a boy and is suddenly able to overcome the issues which have been controlling her life for years. It's a book about the struggles that come with trying to have relationships, platonic or otherwise, when you are battling mental illness, the difficulties that you face constantly within your own mind which do not go away when you meet someone new, regardless of how intriguing and exciting they are. A concept that it is so important for society to understand. This book was an absolute joy to read, I whizzed through it eager to see what would happen next and I was never disappointed! Under Rose-Tainted Skies is a beautifully sincere depiction of agoraphobia but it is also so much more than that, it's an amazing book with an amazing storyline and characters that you will definitely fall in love with (Norah's mum is my absolute fave!). I cannot wait to see what Louise Gornall has got to come if this debut is anything to go by. Fantastic! It really was a great book! It's so interesting to hear about your experience and it really does sound similar to the storyline! That's so amazing I'm really glad you're doing so well now too that's amazing to hear!